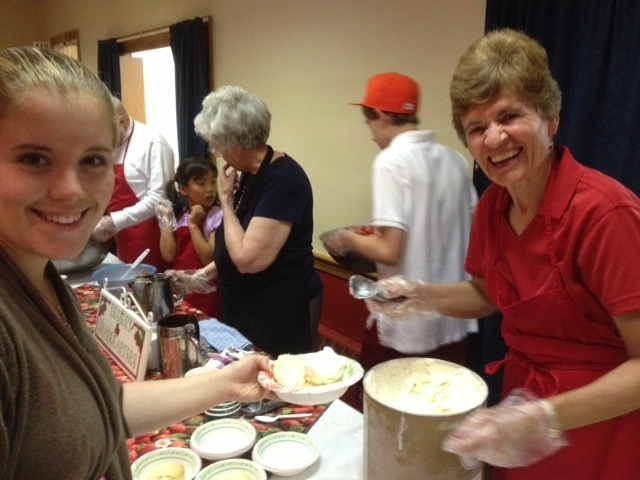 A delicious welcome to spring, the First Church of Christ Strawberry Festival takes place on a Thursday evening in June each year at 25 Great Road, Bedford, from 6:00 pm to 8:00 pm in the church yard. A tradition for over 60 years, this event, held rain or shine, offers fresh homemade strawberry shortcake, featuring fresh baked old-time powder biscuits, real fresh strawberries, Bedford Farms vanilla ice cream, and freshly whipped cream to top it off. 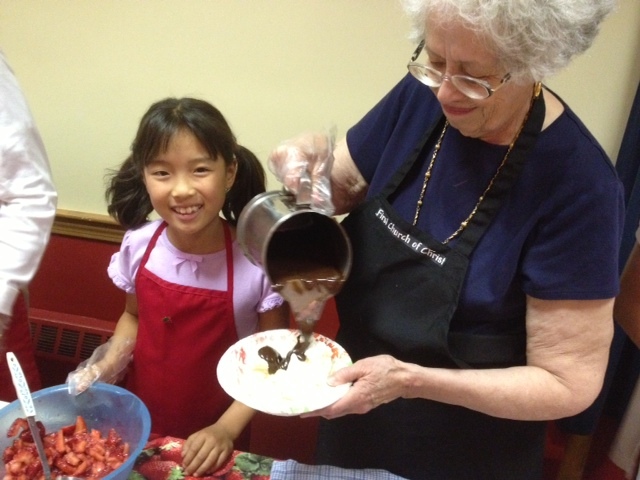 Ice cream sundaes with all the fixings, including homemade hot fudge or fresh strawberries, are also available. Refreshments are also available for purchase. Live entertainment has been provided in recent years, with local talent being highlighted in a acoustical setting. Seating and tables are set up outside, weather permitting, or inside, if necessary. This is an all-volu nteer church event that was started in 1950 by Reed and Doris (Mickey) Webber to raise funds for a couples club at the church. Funds now typically assist our local budget, scholarship funds, and outreach. The festival has been held every year since, and is now a Bedford tradition. There are many ways to volunteer for this event, most of which will take only an hour of your tim e; from cutting berries at home, to setting tables, to serving one of the delicious toppings. Rain or shine this is an enjoyable family event you do not want to miss!